In 24: purifies and dries eliminates imperfections and localized redness. Enhanced action: reduces and prevents marks. Without AHA, fresh fragrance allergen. Gluconolactone + salicylic acid 14%: reduce imperfections related to inflammation. Apply locally two or more times a day, avoiding the eye area. Formula INCI: Aqua (purified water), gluconolactone, alcohol, glycerin, sodium hydroxide, hydroxyethyl cellulose, salicylic acid, sarcosine, butylene glycol, denatonium benzoate, PEG-60 hydrogenated Cartor oil, PEG-8 Dimethicone, pentylne glycol, t-butyl alcohol, xanthan gum, perfume (fragrance). 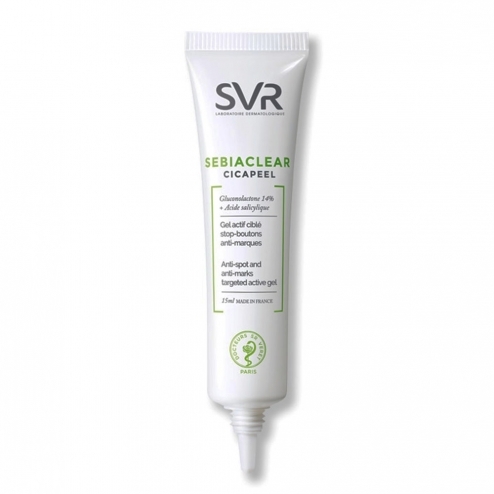 non-comedogenic Paraben free hypoallergenic Tested on sensitive skin prone to acne.